Used RC Helicopters - How to choose and what to watch out for. Used RC Helicopters - How To Choose & What To Watch Out For. Purchasing used RC helicopters for some people is a very good money saving option when getting into this hobby. 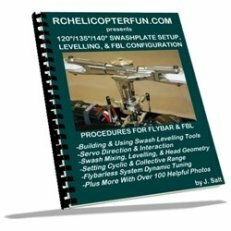 The problem is you have to know exactly what you are doing and looking for or you could end up with a huge headache that will cost more to get working right than a new RC helicopter would have cost in the first place. This write up will hopefully give you some insight what to look for and if "USED" may be a good choice for you. I sometime sell my used RC stuff as well. If interested, here is a link to my used RC equipment page. 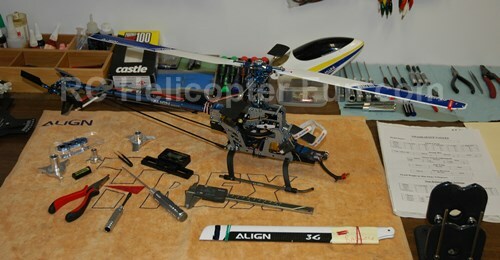 Certainly a used RC helicopter can save you a lot of money and even time seeing that it is already built. Many of these used helicopters have had upgrades to them, and the seller might also be including all the accessories and spare parts along with the sale, adding even more upfront value. 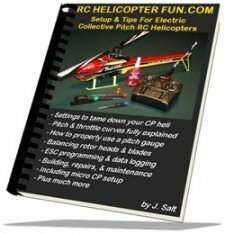 Most people will recommend that an RC helicopter newbie not even consider getting a used helicopter because they don’t know what to look for. 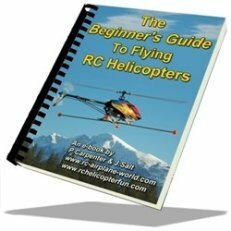 I totally agree with that - but hey, you have been doing your research here at www.rchelicopterfun.com and are learning all about RC helicopters. You will be in a much better position to purchase a pre-flown heli and used RC equipment because you are informed. Remember, I want to promote this hobby; if your budget right now doesn’t allow you to purchase a new helicopter or equipment; a good used one is a very viable option as long as you understand the risks and know how to avoid them. Before you start searching the "RC Helicopter For Sale" section of the RC forums, eBay, craigslist, kijiji, etc. you have to consider many factors first. If you consider purchasing a used RC helicopter, you must take into account all the items we have already discussed in the Best RC Helicopter section. Does this helicopter have all the features I am looking for? Is it the right size I am looking for? Can I easily get replacement parts? Is it a very old model that you can’t get parts for any more? Is it a good deal - could I get a new one for not much more? Finally – does it fly? That last question is a big one! If you have spent any time on this web site, you know there is a fair amount of discussion on why people give up on this hobby. They simply didn’t realize the many aspects of the hobby and the commitment required to succeed. They didn’t choose the best RC helicopter for them. They ended up buying the best RC helicopter that had the most attractive marketing or perhaps price or sales pitch. That is the main reason I built this web site... to inform and make this hobby fun and rewarding for people. What happens with all these unwanted and usually damaged helicopters? Yup – they end up in the RC Helicopter For Sale section of forums, classifieds, e-Bay, kijiji etc. I should point out that if a helicopter has crashed, that is not a reason to walk away as long as it has been correctly repaired. Almost every RC helicopter out there has had a kiss with the ground. That is the best thing about RC helicopters. You simply replace all the broken or damaged parts after a crash and the heli is as good as new. So how do you know if it has been repaired correctly? Well, if you are fortunate enough to live fairly close to the seller, he/she may offer a demo flight. If however, you can't see it fly in person, maybe they will send you a video of it flying recently. If that is not possible, then you need to ask lots of good open ended questions. If the seller doesn't seem to know much about the heli they are selling when you ask them some intelligent questions such as "when was the last crash", "how long are flight times", "what flying style do you do", "why are you selling", "what electronics are in it", "how long have you owned it", etc. ; that should raise red flags. Open ended question that require more than a yes no answer in other words. If something seems odd, fishy, too good to be true, I personally would be leery of the purchase. Many people simply sell their RC helicopter because they are getting a newer, larger, or more advanced heli. This is the perfect person to get a RC helicopter from. An honest seller will recognize the importance of a demo flight to the potential buyer or be willing to answer some good technical questions about the heli; they will have no problem obliging that request. Even the most experienced RC heli guru can’t tell by sight alone if everything on the helicopter is ok. It doesn’t matter if you are purchasing your first helicopter or your fiftieth – if you are getting a used helicopter follow the same decision process as you would for a new helicopter. Once you get it home - partially take it apart to thoroughly inspect it. This serves two important functions. First, it will teach you a great deal about the workings of the heli just as if you were building it from a new kit yourself. Second, and most important, this is the only way to guarantee the heli is in 100% good shape and safe to fly. I have never purchased a used RC helicopter myself for example that has not had at least one of the bearings that was in need of service or replacement. Bearings are the single most important items to check on any use RC heli IMO. You may even come across a part that has some stress fractures or actually be damaged. Better to find out now on the bench then when you are 100 feet in the air. The tear-down will also ensure any parts that need to be lubricated are cleaned and lubed upon re-assembly and any loose bolts, nuts, or set screws will get tightened with new thread locker in place. 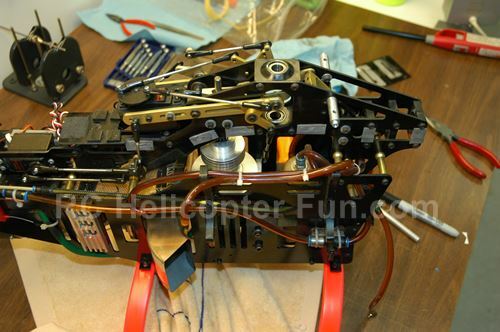 This "tear-down" procedure is not just for used RC helicopters of course. You will be doing it to all of your birds every now and then (usually once a year) to ensure they are always in 100% working order. Just the same as in the full sized aviation world when certain components by law, have to be torn-down at specific intervals (usually based on hours of operation) to inspect, service, and replace certain parts. If you decide there is just too much risk involved in getting a used RC helicopter or you can’t find one that meets your requirements - used is certainly not going to be the best RC helicopter choice for you. I actually do recommend that the Heli Newbie, purchase a new RC helicopter kit for your first RC helicopter. Not only for the reassurance that everything is 100%, but also for the reasons I outlined in the Kit or Pre-Built section. I had to talk about used RC helicopters however as a possible best RC helicopter. For many, that choice will simply make the most economical sense.